One of my favorite holiday songs with a catchy tune and a special meaning. The holidays just aren’t the same when you’re away from home. When I married my husband, we agreed to alternate holidays meaning one year we would stay in St Augustine, FL with my family and the next we would travel to Atlanta, GA to be with his family. 2017 is our year to be home and I couldn’t be more excited! Though I love spending time with both sides of our family, there’s just something special about spending the holidays at home. As a child I remember the holiday season was all about family. Growing up, my family was very close, living within a 50 mile radius of each other. 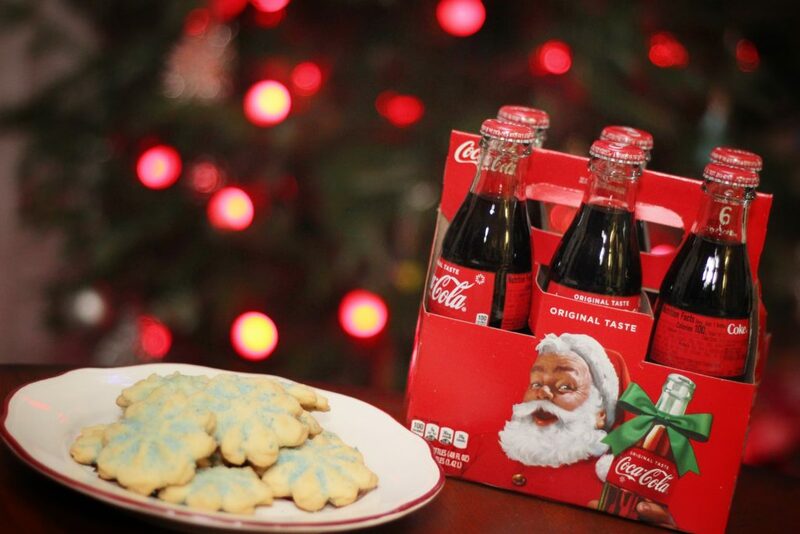 Holidays were more like regular family reunions. We would start off the day by opening presents at home. Then, we’d travel to my Nana’s home (literally right across the street from my parents’ house) for a big brunch and time spent with my mom’s side of the family. Next, it was a late afternoon lunch at my Granny’s house (4 streets over) with my father’s family. We would finish the day watching movies at home and snacking on home made fudge and my mom’s delicious sugar cookies. 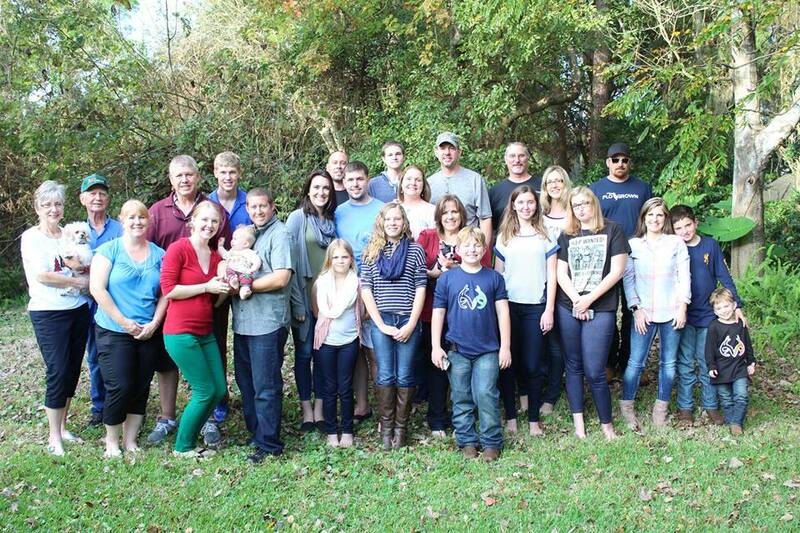 In 2014, our family dynamic changed drastically. My younger brother joined the US Coast Guard and a short 6 months later, my sister enlisted in the US Air Force. We were all extremely proud of them for serving our country, but sad to have them far from home. The holidays haven’t been spent all together since. My brother is stationed in Houston, Texas where Hurricane Harvey hit earlier this year. While my sister is in Great Falls, Montana where snow is never-ending. Having them home for the holidays would make it feel just like when we were kids, celebrating together. This holiday season is particularly special because my brother IS coming home. 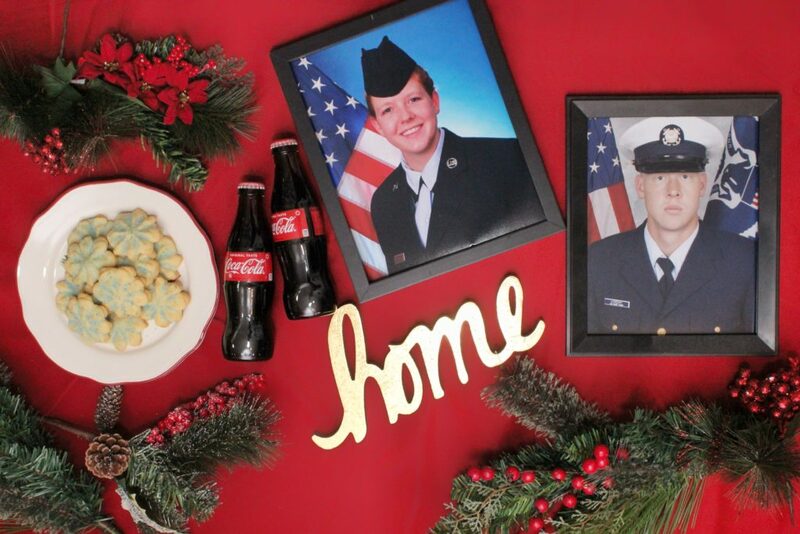 If I won the Publix Coca-Cola “Home for the Holidays” Sweepstakes, I would use the round trip airfare for 2 to bring my sister and her husband home too so we could have the whole family together again. It wouldn’t be the holidays without my mom’s homemade sugar cookies. She kept her recipe a secret for decades. Before my wedding, I had a Christmas themed bridal shower and was gifted a cookie baking set from my mom with her hand written, sacred, secret recipe. 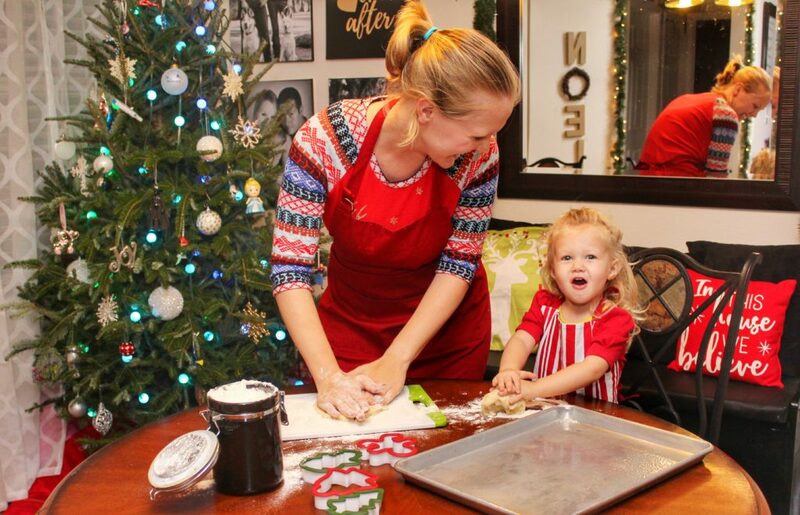 I teared up when she shared this long standing family recipe with me, and I’m excited to pass it along to my daughter by making cookies the same way I did growing up. Stop by your local Publix, our favorite local grocery store, to pick up what you’ll need to make a batch of two dozen of these delicious sugar cookies. Blend flour, baking powder and salt into creamed mixture. Cut into shapes with cutters. Cool slightly, remove from pan and enjoy. This holiday season, visit Publix for the text code to enter for a chance to win airfare for two to travel home for the holidays. The Grand Prize is Round Trip airfare for two, anywhere in the continental United States. The sweepstakes ends 12/30.